Originally from rural Victoria, Carly made Tasmania her home when she enrolled at the University of Tasmania to study architecture. After graduating in 2010, Carly worked at Architecture Matters in Melbourne and then relocated back to Tasmania in 2013. Carly now works as a Registered Architect at Liminal Studio, a globally connected, creatively agile studio, noted for creativity and their embrace of collaboration. 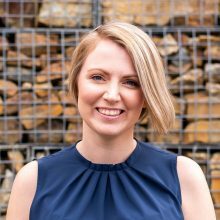 Carly is active in the advocacy and development of the architectural profession across Tasmania. Her drive to make a difference and contribute more broadly to the profession is noted through her participation as a Chapter Councillor for the Tasmanian Chapter of the Institute and EmAGN Tasmania. This has led to organisational roles for the local architecture symposium, A Weekend Away, being appointed to the 2016 Tasmanian Architecture Awards Jury, and selected as the Tasmanian Architecture Awards Creative Director for 2016 and 2017. Her participation demonstrates leadership, her generous spirit and ambition to interact with and propel the profession across multiple platforms. Carly’s involvement in leading projects has intensified as one of the key team members delivering ‘The Hedberg’, a $96M performing arts project for the University of Tasmania, the State Government and operators of the Theatre Royal, the oldest continually operating theatre in Australia. The jury believes Carly will greatly benefit from taking part in the Dulux Study Tour and this opportunity will expand and strengthen and reward her ongoing and generous contribution to the Tasmanian architectural community. Jennifer graduated with Honours at the University of Sydney and is now the Director of TRIAS, founded in 2016. She is deeply passionate about the role that architecture plays within our culture and has a strong desire to continually provoke change in our cities, suburbs and landscapes by inspiring residential occupants and mentor younger architecture graduates. While TRIAS has a short 2 year history, Three Piece House, led by Jennifer has humbly received the 2018 NSW AIA Architecture Award and the 2018 Sustainability Award in the Newcastle Chapter and is an exceptional example of simplicity, strength and beauty in a residential area. Jennifer is a devoted writer and architectural advocate with a strong belief in quality over quantity. She is not afraid to challenge the status quo and is eager to learn and share her experiences with those around her by creating content for magazine features, blogs and radio programs. She endeavours to contribute to the open conversations and continue to use different mediums to educate and inspire. Assuredly Jennifer’s participation in the Dulux Study Tour will allow her the unique opportunity to investigate and share her involvement with the wider community, encouraging graduates to pursue their careers with curiosity and courage. 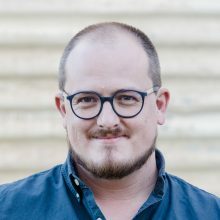 Phillip is a registered architect and co-founder of Regional Design Service, an architecture and design practice based in the Murray River region on the border of Victoria and New South Wales. Phillip has over ten years’ experience working in architectural practices across Australia including HASSELL and K.P.D.O. Driven by a desire to promote design and strategic thinking beyond Australia’s major urban centres, Phillip and his partner Aaron Nicholls moved to the region in 2017 and set up shop in an empty storefront on the Main Street of Corowa. Phillip has become a familiar face in the community; to its individuals, community groups and local governments alike. Phillip’s service to the region is diverse and broad-ranging; he assists local councils and community groups in project creation, strategic planning, instigating public design events, and securing project funding. One significant example is the Wangaratta Placemaking Project, realised in collaboration with consulting studio Projectura. 21 rural townships were consulted during a series of consultations with individual community members, uniting the individual towns into five Rural District Plans capturing their aspirations for the future. This resulted in the doubling of project funding allocated to 21 small townships in the 18/19 calendar year. The jury commends Phillip’s drive and initiative and is confident the Dulux Study Tour will propel his contributions to regional Australia’s built environment and its people. Ben is an associate at Carter Williamson Architects. 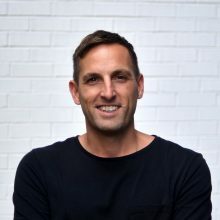 Since graduating in 2015 with a Masters of Architecture from the University of Technology Sydney (UTS), Ben has tutored in various UTS subjects including The Profession, where students are asked to consider the role of the architect. For Ben, the role is more than delivering quality projects for people. Architects have a civic responsibility – a moral and professional obligation to work towards the public interest. Nowhere is this more apparent than with Ben’s advocacy for Save our Sirius – a campaign to protect the Brutalist apartment building in The Rocks, Sydney. As campaign manager, Ben helped crowdfund a successful legal challenge against the NSW Heritage Minister, co-authored the book Sirius and organised events and protest marches to garner further support for the cause. The profession needs advocates and leaders to speak out on behalf of communities and the built environment. 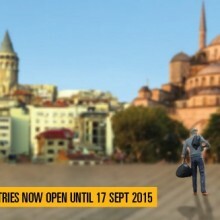 While still a graduate architect, Ben is one of these leaders. The jury is confident that Ben’s participation in the Dulux Study Tour will provide experiences to further his passion as a positive influencer within the profession. Alix is an associate at Hassell where she began as a graduate architect. She is a registered architect and graduated from the University of Melbourne. With exceptional leadership within the profession Alix is involved in promoting gender equity, mentoring and indigenous engagement through the establishment of Hassell’s Women in Design Group, Global Intern Program and Indigenous Engagement Initiative and through collaboration with Parlour. 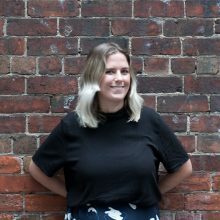 Alix is the Design lead for a number of large and complex projects at Hassell including Melbourne Metro, Level Crossing removal projects and Melbourne Conservatorium of Music. Through these projects she has demonstrated exceptional design skills and talent, advocacy for responsible and high-quality design and highly collaborative and generous leadership skills. 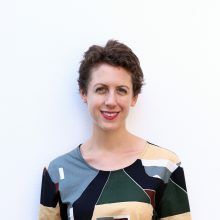 Alix’s involvement in education and mentoring extends beyond Hassell to running Masters of Architecture design studio, presenting a number of times at the University of Melbourne and involvement in the Institute of Architects including as a member of the 2018 Victorian Chapter Sustainability Jury. The jury believes that Alix’s remarkable design and professional skills on projects of the highest level of complexity combined with her effective advocacy, mentoring and leadership will be enriched and expanded through her participation in this year’s Dulux Study Tour.